This hall was constructed on the site of the old rear hall and gate. 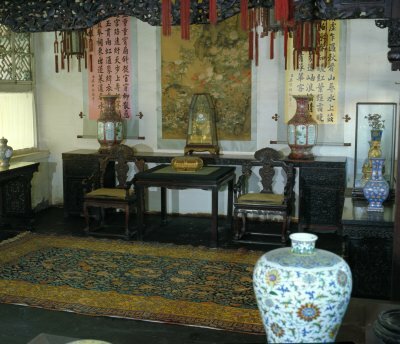 The Empress Cowager Cixi dined, drank tea and rested here when she lived in the Palace of Gathered Elegance (Chuxiu gong). In 1887 Empress Dowager Cixi presided over a ceremony here for selecting the Empress and Concubines for Guangxu Emperor (r. 1875-1908).